Good day, Octodontists! 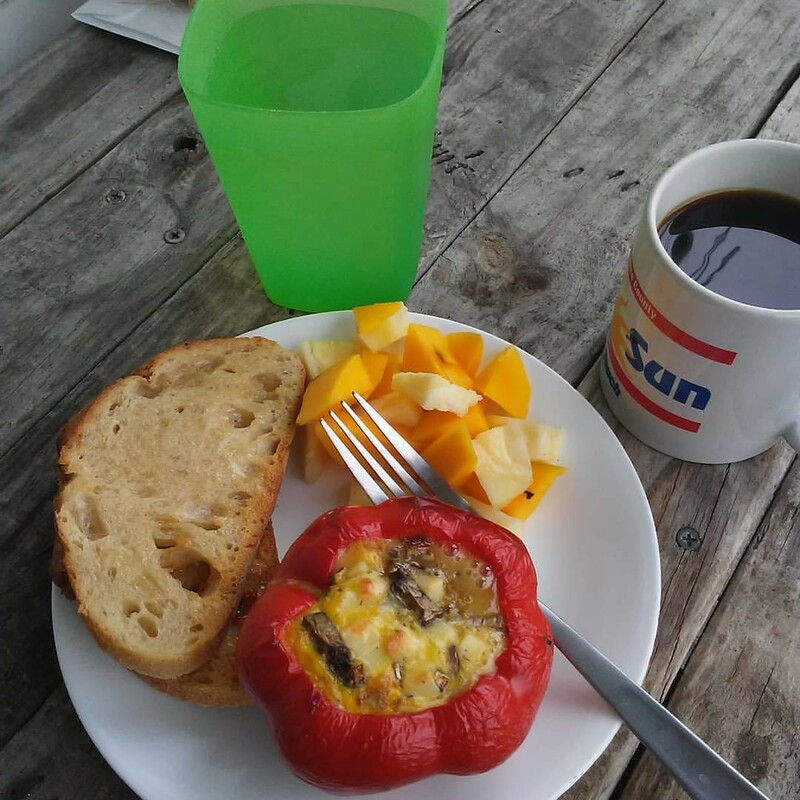 My breakfast: A red pepper stuffed with eggs, bacon, mini-portobello mushroom, avocado and garlice cheddar cheese. Regrettable Italian sourdough toast and a mango-pineapple salad. The coffee is excellent, as is the music (Tower of Power).